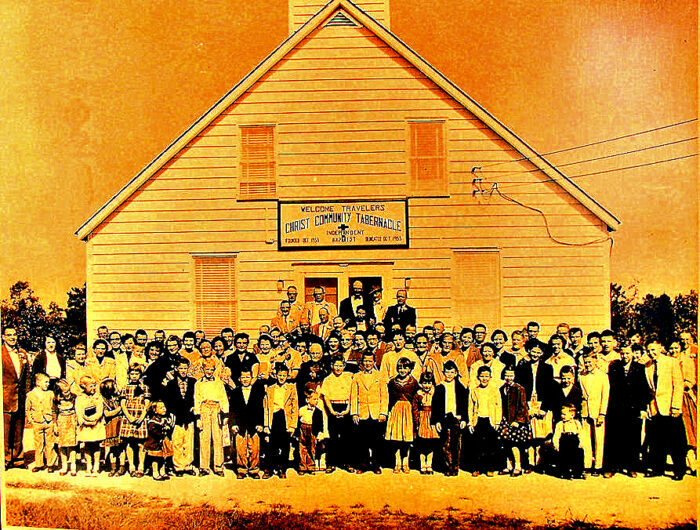 In the early 1950’s a group of believers who believed the Word of God, stepped out in faith to form what is known as Christ Community Tabernacle. The families began meeting at a local church in Monroeville, NJ named Chickory Chapel. 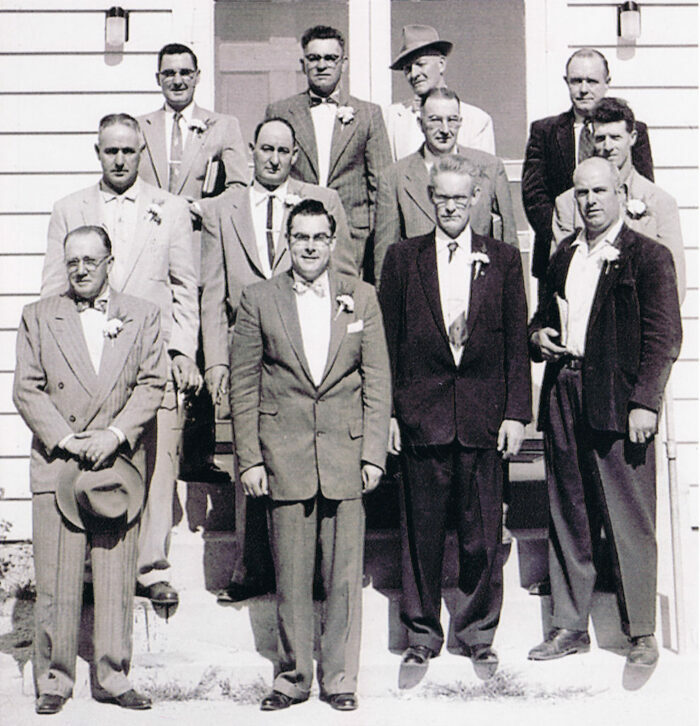 It was 1952 and in just two short years the congregation had outgrown the small white church and started to meet in the Elmer Movie Theater by 1954. In Elmer, NJ there was a married couple who owned the bakery by the names of Mr. and Mrs. George C. Pfefer. 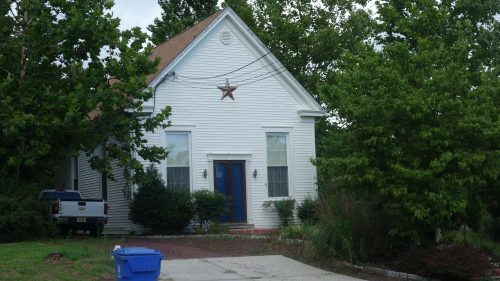 The Pfefers owned a piece of property located in Upper Pittsgrove Township in Salem County. On July 13th 1954 they sold the property to the church for the sum of one dollar. After many meetings and prayers, the work of their own church was finally coming to fruition. Three men stood out in the work of building the physical structure for the church; Les Garrison, Milton Clark, and Earl Clark, with help from others. The property was cleared on September 4th, 1954. The next several months proved to be extremely laborious with the laying of blocks, mixing of concrete and installing rebar for the foundation. The walls began to go up, the roof was installed with the windows, electric and plumbing and the building was nearly completed. Les Garrison and Earl Clark would work through the night so the first Sunday service could be held October 9, 1955; this new building was dedicated October 20, 1956. Pastor William Green was the first pastor and stayed with the church until 1957. Other men of God who pastured during those early years were Rev. Clifford Crider who served 1957 – 1958, and Rev. Frank Walton who served from 1959 though 1973. Many exciting things were accomplished under the ministry of Frank Walton; major capital improvements that have been done: in 1960 the tile ceiling was installed in the sanctuary; in 1961 the center aisle was completed. In 1963 hardwood floors and pews were added to the sanctuary. In 1967 new Baldwin organ, and a piano and in 1968 central air conditioning enhanced worship services. In 1968 Mr. Stanley Boyda and his wife Pauline agreed to sell their home next to the church with almost three acres of property, which became a parsonage for the pastor. The church now had almost five acres of property for future expansion. In 1969 new pulpit, communion table; hymn boards and lectern. 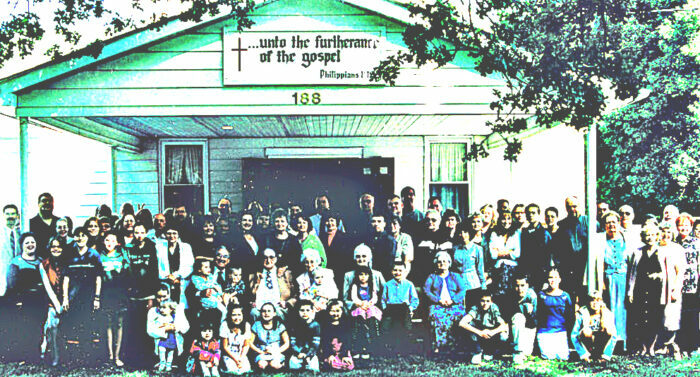 Even though the description of the church had been “Independent Baptist”; in 1972 the church had a sense to identify with the Baptist Distinctive. They wanted all to know where they stood. So on June 20th 1972 the church changed it’s official name to Christ Community Baptist Tabernacle; which remains to this day. In 1973 a carport was added to front entrance of church. At the end of 1973 Pastor Walton stepped down as pastor. The church called Rev. Julius Bosco in 1974 and he stayed until 1978. John Clements pastored for 2 months in 1979. Rev. Frank Owens began pastoring In May of 1979 and stayed about a year and a half. In December 1980 the church called Rev. Joseph Zearfaus, Sr. 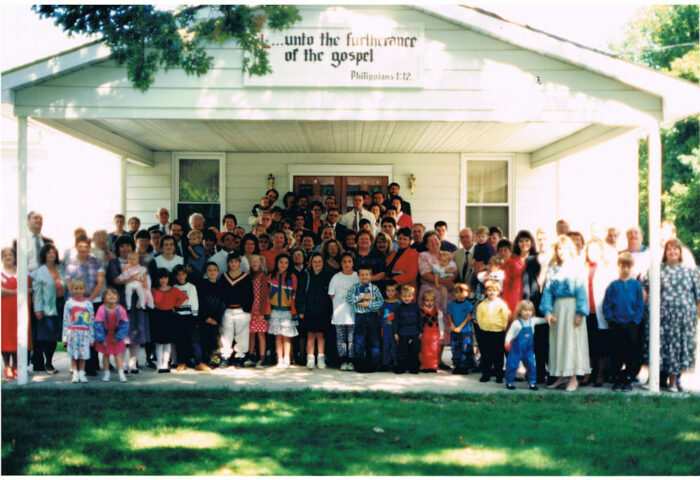 The church grew over the next eight years, including a 1500 square foot addition on the west side of the church which gave the church nine more pews in the sanctuary, bathrooms, three classrooms, and pastor’s study, as well as full basement for fellowship. 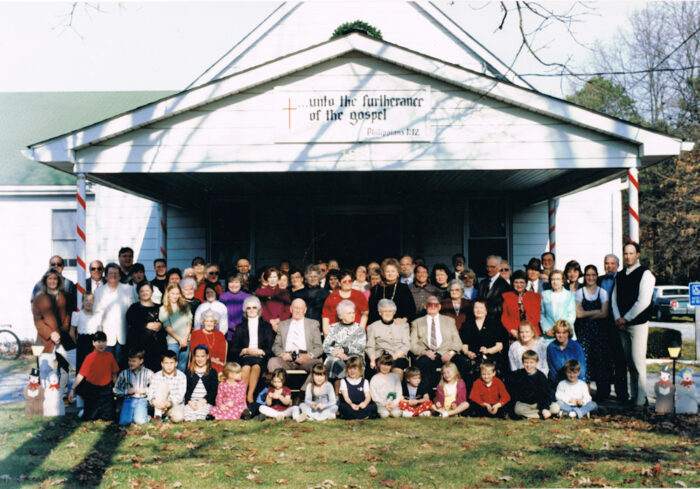 In 1986 the new 1,500 square foot addition added to west side of church which included nine additional pews, four classrooms, bathrooms, and full basement. It was September 25, 1988 that Rev. Joseph Zearfus, Sr. stood in the pulpit on Sunday evening, as he had done for eight years at Christ Community Baptist Tabernacle, during his sermon he suffered a heart attack and entered eternity. It was a tremendous blow and set back to the church. Rev. Jeff Lyon was called to pastor in 1989, and stayed until 1991. In August 1991, the church asked a young man fresh out of Pensacola Christian College if he would preach as interim pastor, and he agreed. Then, in May of 1992 the church called this young man to be their pastor and he understood God’s call. Rev. Joseph Zearfaus, Jr. became the ninth pastor of Christ Community Baptist Tabernacle, and is still so at present. For over sixty years Christ Community Baptist Tabernacle has sought to fulfill the purpose of the local church which is for the perfecting of the saints, for the work of the ministry, for the edifying of the body of Christ as found in Ephesians 4:12. It has sought to glorify God by sharing the gospel with the lost, and encouraging believers in their faith to serve Christ. Several men have been ordained to the gospel ministry through the discipleship ministry. The church supports seventeen missionaries with their ministries around the world. Children’s programs such as Sunday school, King’s Kids, Vacation Bible School, and summer camps are used to teach Christ. Youth programs such as Sunday school, TRAC Club, Vacation Bible School, and summer and winter camps are used to teach young people to stand strong for Christ….We are thankful to God for allowing us to be stewards of His ministry, and it our prayer that we remain faithful until He comes for us in the clouds. Over its more than sixty year history Christ Community Baptist Tabernacle has sought to glorify God by sharing the gospel with the lost, and encouraging believers in their faith to serve Christ. Several men have been ordained to the gospel ministry through the discipleship ministry. The church supports seventeen missionaries with their ministries around the world. Children’s programs such as Sunday school, King’s Kids, Vacation Bible School, and summer camps are used to teach Christ. Youth programs such as Sunday school, TRAC Club, Vacation Bible School, and summer and winter camps are used to teach young people to stand strong for Christ. In entering our sixty-first year the church has taken on a building program to erect a 6,000 square foot multipurpose building to house a gymnasium, full kitchen, bathrooms, offices and storage. To the glory of God this building is being established as Founders Fellowship Hall, in memory of all of the church’s founding members, of whom we look up to as examples of godliness, and faithfulness. and trust His continued blessing until He comes for us in the clouds.